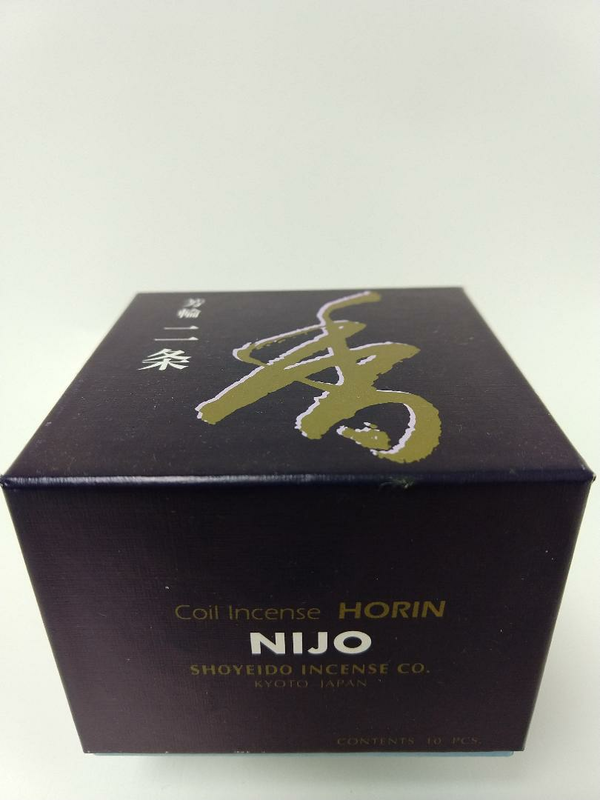 A box of 10 Horin coils. Nijo-Avenue of the Villa is a sandalwood scent. With coil stand.